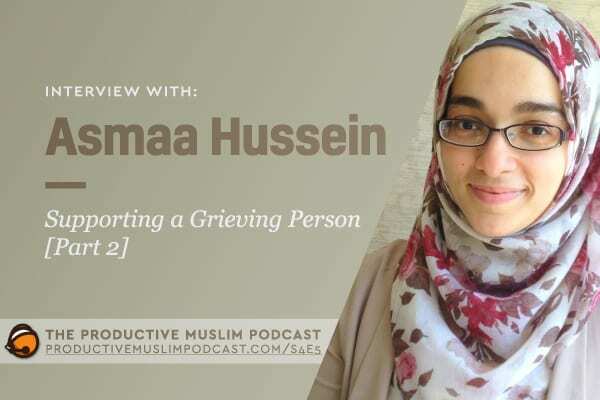 Continuing our conversation today is Asmaa Hussein, an Egyptian-Canadian author of the book ‘A Temporary Gift’, where she journals her experiences on losing her husband and widowhood. In this episode, we talk about how grief often makes us feel uncomfortable, awkward and leaves us stammering for the right things to say. Some of us are so afraid to say and do the wrong thing that we end up doing nothing at all. While there is not one perfect way to respond and support a loved one grieving, there are a couple of things to consider as we navigate through our supporting roles. Connect with Asmaa on Facebook and her Website.